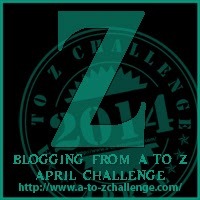 Before I get into this last post of the A to Z challenge, I have to get a few things off my chest. This has been a blast for me. I have way more ideas than letters in the alphabet and it is really hard for me to end without writing about them all. …which means I may never write about these ideas that are floating around in my mind. That is a very frustrating situation for me to grapple with. Z is for Zion. I found one definition of Zion that doesn’t contain the words Israel, Palestine or Jewish. That definition is: Utopia. When I picture an ‘Enneagram Utopia,’ I imagine a world where people’s Egos are aligned with the Big Picture Truth about Who We Really Are. If we only address our psychological issues, we end up understanding why we do what we do and can use words like ‘family of origin’ and ‘boundaries’. We may be able to change some of our behaviors that cause us trouble, but we have no larger sense of assurance, peace or purpose. It’s easy to get stuck in self-centeredness. However, if we only address our spiritual issues, we end up being able to meditate for six hours straight and use words like ‘enlightenment’ and ‘ego-transcendence.’ We may be able to breathe better than our friends, but we still go home and yell at our kids or procrastinate to the point that our co-workers want us fired, because we haven’t dealt with our own personal stumbling blocks. It’s easy to get stuck in irrelevance. The Enneagram attends to both, assuming we move quickly past the personality-typing aspect of it and begin to stretch and expand out from there, by helping us understand where our behaviors and misguided perspectives come from AND by giving us hints, methods and really good reasons to loosen up our beliefs about ourselves and about the world. 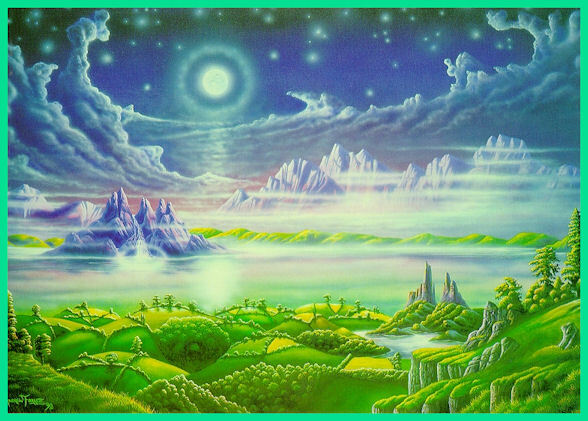 Therefore, and back to my point, when I imagine an Enneagram Utopia (Zion), I think about people living free from reactivity (psychological healing) AND feeling, knowing, experiencing the Bigger Picture Truth of Who We Are (spiritual healing.) And if we’re lucky, we’ll find a way to get Marvin Gaye’s kind of healing in there too. Here’s what I mean for each type. In the first two columns, I’ll try to use just one word for each category so it’s easy to take it with you throughout the day. In the third column, I’ll expound. One Serenity (All is well) Welcome imperfection Know that imperfection within yourself and the world is inherent. Allow this to be the case. Practice releasing yourself from the job of righting the world. Two Humility (I’m loveable just as I am) Self-care Ask yourself what you need and honor that. Look around for the people who love you and care for you (imperfectly) and let that in. Three Authenticity (I am who I want to be) Good-enough effort Pour your heart and energy into what you truly love and do the rest just good-enough. Four Wholeness (I was born complete. Nothing in me is broken.) Action Allow your feelings to propel you forward into right action rather than holding you down, keeping you stuck in the delusion of disconnection. Five Abundance (I will always have all I need) Embodiment From a place of being in tune with your body, engage with your life, practicing the perspective that you have no less than/just as much as anyone else does to navigate the world. See what happens when you give of yourself to your life. Six Courage (I can walk through fear and do other hard things) Relax Release yourself from having to manage the future by trusting that you can handle anything that may or may not come to pass. In the meantime, relax into what is happening right now. Seven Contentment (What I want is right here) Enough Pay attention to what is going on within and around you. Drop down into your body and experience deeply. Stay with it longer than you want to. Eight Vulnerable (It’s okay to let my guard down) Right energy/intensity Practice letting your intensity fluctuate depending on the needs of the situation. Try to tone down your energy and ramp it up at will. Nine Balance (The center of it all is peaceful) Tune in Pay attention to what you think, feel and want. Share that with people. Participate in your life with your whole self, wide awake. This entry was posted in A to Z challenge and tagged A to Z challenge, Behavior, Enneagram, feeling, healing, Nine types, psychological, spiritual, utopia, zion. Bookmark the permalink. Thanks Lainey! I think I’ll stick with one blog for now, but I’ll find ways to weave it all in, I’m sure. Thanks for staying with me all April!